Atmos in the home - will Gravity be getting a home Atmos transition? Since Dolby Atmos arrived on the cinema scene in 2012, the technology has set a precedent for movie sound. The intricate but sparse sonic landscape of Gravity, Godzilla's guttural roar, the rain-soaked urban jungle of Dawn of the Planet of the Apes... all of these have benefitted from the Dolby Atmos Cinema Processor and its support of up to 128 discrete audio tracks. Given its use of over 60 speakers in the cinema, particularly overhead ones, it was a surprise when Atmos technology was announced for the home back in June. But Dolby's engineers believe they have created the right atmosphere for Atmos to work in a home environment. "We wanted to emulate the cinema experience in homes and knew it had to be as engrossing as the cinema. It will never be the same but it has to be engrossing," says Jonathan Jowitt, Dolby Europe evangelist. To do this, Dolby had to reverse engineer how 3D sound is perceived. Or, as Jowitt puts it, "hack into your hearing". "Atmos is based on audio objects - spears going overhead, a child crying, a car revving," notes Jowitt. "These objects contain metadata about where these are placed in the scene. Atmos can do 128 objects at any one time and they all can be moving." For this to work, these objects are fed into Dolby Atmos Cinema Processor, which is the brains behind Atmos. The processor looks at speaker configurations and finds the nearest speaker to render the sound as the filmmaker intended. According to Jowitt, the flexibility of the technology is the key to translating the experience into the home. In short: the number of speakers can change from room to room and the processor will adapt, thanks to something called 'spatial coding'. "One of the overriding mantras we had was that all the audio had to be retained," says Jowitt. "The sound is built by the sound designer and what we hear in the home cinema had to be conveyed in the home environment. It is a challenge, a massive challenge. "So we have created something called spatial coding. It is a new coding method that takes into account the location of the objects and coded them for streaming or for Blu-ray disc. "With this, we could update TrueHD and Dolby Digital Plus. These are not new technologies but a tweak to the bitstream." Central to this process is something called the Dolby Atmos home renderer. Similar to the cinema processor, this is the brain that fits inside a coder. "If you were to deliver 5.1 to an AVR it is just a routing. But the Dolby Atmos renderer is intelligent enough to read and render the sound as you would hear in the cinema," says Jowitt. 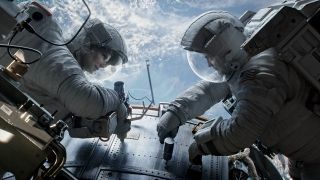 To find out the difference between the cinema version of Dolby Atmos and the home version, TechRadar was given a demo by Dolby and the results were impressive. Shown movie clips with sound that was amplified both from overhead speakers and 'up-firing' speakers, the quality was as all-encompassing as you would expect from Atmos. The difference between having a speaker in the roof and a virtual one was negligible, and that is exactly the experience Dolby wants you to have with Atmos in the home. "Ultimately where you position speakers in the 3D space doesn't matter," says Jowitt. "We are giving guidance on typical speaker arrangements. If a homeowner has a 5.1, 7.1 or even 9.1 system then we will give advice on how to position modules that are up-firing or how to install the overhead speakers." Dolby isn't being biased about what speaker setup you have, either. Since the June announcement there have been a trickle of manufacturers that will support Atmos - including Pioneer, Marantz and Onkyo - but all this is for nothing without studios authoring for Atmos in the home. Although no announcements were made, Jowitt was clear that Dolby is putting a lot into making sure the studios are backing Atmos for the home. "We are working aggressively with Hollywood filmmakers and production houses, there are a lot of things that we need to get up and running. We have to make it embrace the new encoding and make sure they are ready," says Jowitt. "We are confident there will be significant support. There will Atmos titles on Blu-ray and streaming in the coming months. And the great thing is streaming services that offer Dolby Digital Plus today have already got an advantage." Best TVs in the world: which should you buy?